Immaculate, updated and well maintained 3 bedrooms with 3 full ensuite baths in this oceanfront, centrally located condo. Only one of two Island Club condos with three full baths! 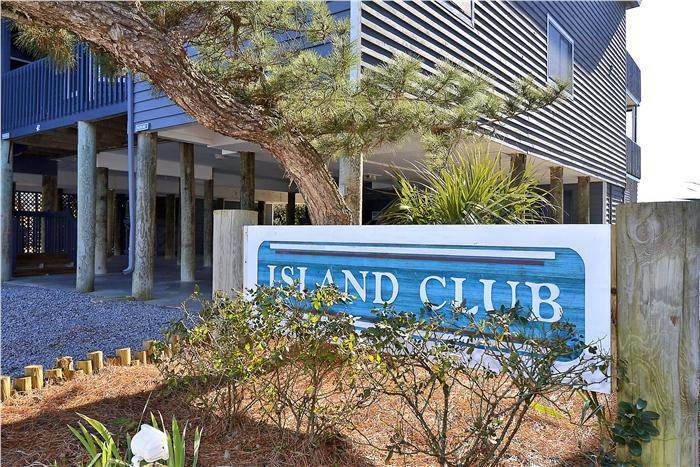 Close to town center but very private, with beautiful tropical landscaping and a beautiful oceanfront pool shared by only 8 condos in the complex. Breathtaking ocean views from oversized 35 foot large covered porch to enjoy the view. Pergola with picnic table. Ceramic tile throughout plus beautiful granite counters in kitchen and baths, stainless steel appliances, crown molding. Central heating and air with ceiling fans throughout, 3 flat panel televisions, 1 DVD player,wireless internet access, dishwasher, microwave, washer/dryer. Beautifully furnished by owner. Fireplace, covered porch, sundeck, outside shower and oceanfront pool with fountain, community charcoal grill. High chair and pack 'n play available for your convenience. All bed and bath linens included with your stay, and beds made upon your arrival. Accommodates 8. King, Queen/Queen, Single/Single. Covered parking. This is a *NON-SMOKING* condo; no pets allowed.